Home Gardening How to water indoor plants? 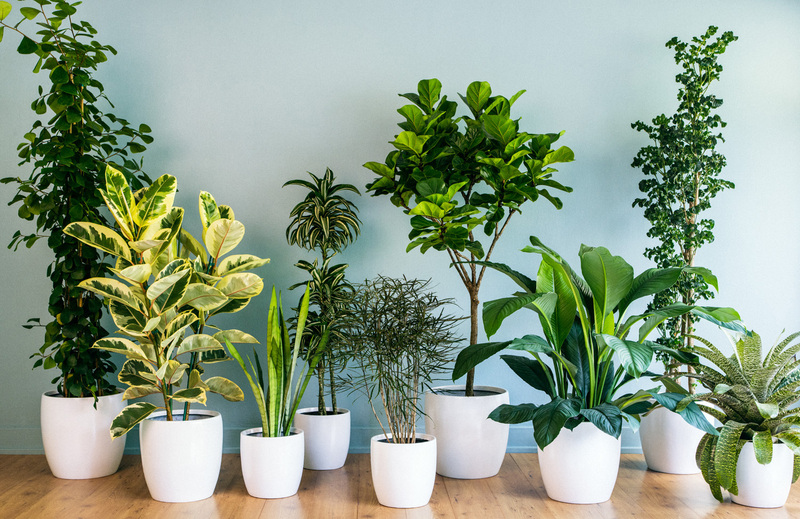 Watering indoor plants can be tricky as there are more factors involved in maintaining indoor plants other than water, sun, and soil. For instance, indoor plants will sometimes be near an air duct, causing the plant to dry. There are two ways you can water indoor plants; one is from the top the other is from the bottom. There are pros and cons to both methods. Watering from the top – If you water your plants from the top, then you will let the water drop over your plant and allow it to soak in the water. However, to make sure your pot gets sufficient water, make sure that the water runs out of the bottom of the pot before you stop pouring. Once the water has drained, empty your tray or cachepot. The cons of this method are that sometimes you may not be watering your plant enough. Another drawback is that the topsoil of the plant will stay wet for longer, and create a breeding ground for common houseplant pets. Bottom watering plants – You can water your plant from the bottom by putting water in your draining tray. The plant will then soak up the water it needs to stay healthy. This method will keep the houseplant pets at bay. However, make sure you don’t leave the water on the tray too long as this can cause the plant to drink up too much water. Previous PostHow to add color to your garden?